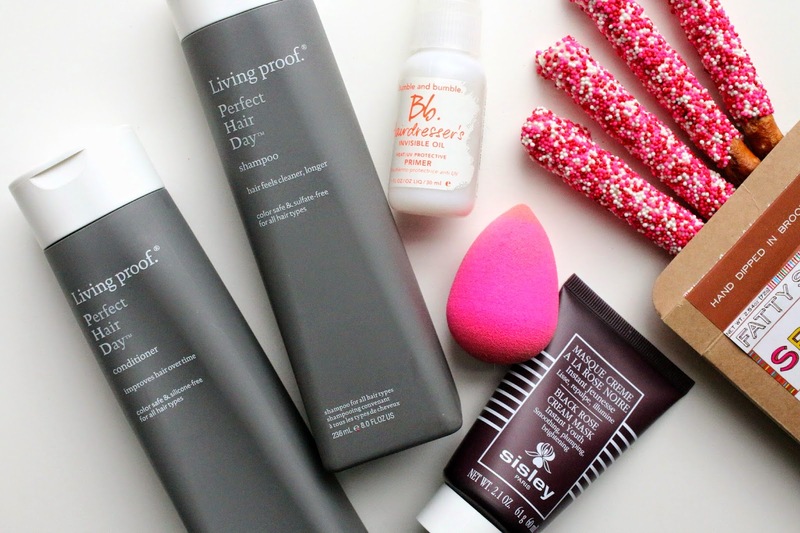 Alert the press and ring the alarm - today's post features hair products! *applause break* I know, I know, I very rarely if ever review hair products because there are not many that move me enough to blog about. However, I was finally moved enough to share my thoughts with you and figured I would throw in a few other items I have been loving (and eating!) to round out this post. 1. Living Proof Perfect Hair Day Shampoo and Conditioner - If we are being perfectly honest, I have never been extremely loyal to a shampoo or conditioner. I tend to just buy whatever and rarely see a major difference in my hair. Then about a year ago, I developed a really bad case of dry/flaky scalp. It's been awful and I could not seem to get a hold on it. I tried homeopathic remedies, T-gel shampoo and other treatments, but it never went away. Fast forward to the present day - I've been using the Living Proof system for a few months and the flakiness has reduced significantly. The only challenge I have with this hair regimen is that it doesn't do a great job at detangling. It's something I can live with, but I really have to be gentle with how I apply it because my hair can get knotted quickly in the shower. But the end results are so worth it. My hair is healthier and shinier than it has been in a long time. 3. Beautyblender - I know I'm super late to the Beautyblender party but I've finally arrived. I have been using this sponge non-stop to apply my makeup and simply adore it. It does tend to give any foundation I use with it a more dewy finish so a setting powder is necessary for me. Other than that, I find it gives a flawless application each and every time. And while I have tried a few of the other Beautyblender sponges, in my opinion the pink performs the best. 4. Sisley Black Rose Cream Mask - A true cult classic, Sisley's Black Rose Cream Mask is as good as everyone says. 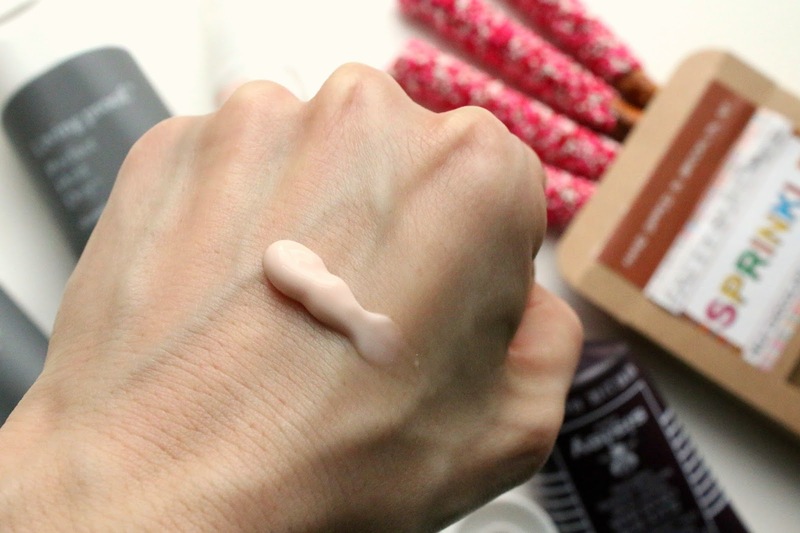 It's incredibly nourishing and hydrating and my skin always looks stunning after using. My interest in this mask was piqued after falling in love with Sisley's Black Rose Face Oil, and I am happy to find the results of the mask just as noteworthy as the oil. For those looking for a decadent, hydrating and super rich mask to splurge on, I can't recommend this one enough. It's truly worth the money. 5. Fatty Sundays Chocolate Covered Pretzels - No this is not a beauty product, but since this post is about things I am loving recently, I had to include these pretzel sticks. I discovered them during a recent trip to the Union Square farmer's market, and while I have tried a million chocolate covered pretzels before, the quality of these are simply superb. The pretzel is not flaky and the chocolate is so smooth that when you bite into the stick, surprisingly everything manages to stay together and not fall apart in your hands. They have a ton of different sprinkle and flavor combinations and in addition to being delicious, they are adorable to look at! Who doesn't want to receive a brightly colored box of chocolate covered pretzels? It's like the new bouquet of flowers, yes?